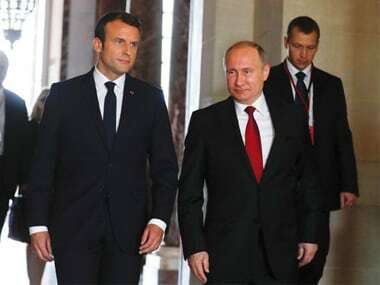 Versailles (France): France's President Emmanuel Macron and Russian counterpart Vladimir Putin on Monday held their first meeting since the French leader came to office, with differences on Ukraine and Syria in full view. Macron welcomed Putin to the splendour of the Versailles palace outside Paris with a perfunctory handshake — after the 39-year-old made a point of outlasting US president Donald Trump when they clasped hands at the NATO summit last week. Putin's visit is the latest test of Macron's diplomatic mettle after the G7 talks in Sicily last week and the NATO summit in Brussels where he turned the tables on Trump by refusing to release the American leader's hand for several seconds during the handshake for the cameras. "It is essential to talk to Russia because there are many international issues that will not be resolved without a tough exchange with the Russians," Macron said in Sicily. Russia's powerful ambassador to France, Alexander Orlov, said he hoped the meeting could help turn the page on the fraught relationship between Putin and Macron's predecessor Francois Hollande. "Many things in the future will depend on the first meeting," Orlov told Europe 1 radio. "It is very important that we begin to dissipate the mistrust that has built up in recent years." Macron told a French weekly that he was "not bothered" by leaders who "think in terms of power ratios", citing Putin as an example along with Trump. Macron said he would make "not a single concession" to Russia on the long-running conflict in Ukraine as he and his G7 counterparts said they were prepared to strengthen sanctions against Moscow. Government forces have been battling Moscow-backed insurgents in eastern Ukraine for over three years. Western powers charge Russia with failing to honour its commitments under the Minsk accords framework for ending the hostilities. The six-year-long Syrian conflict will also be high on the agenda, with Macron saying he was in favour of "building an inclusive political solution in a much more collective way". He regretted that none of the G7 states are party to Syria peace talks under way in the Kazakh capital Astana initiated by Russia, Iran and Turkey. 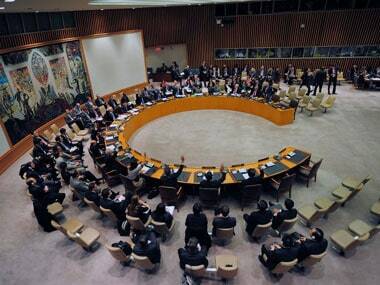 Separate UN-backed negotiations have become bogged down in Geneva. Russia is a strong supporter of Syrian President Bashar al-Assad whereas, as Putin adviser Yuri Ushakov said before the visit, France "is among the countries with a very severe stance towards (Assad's) regime". Coming so soon after an election in which the Kremlin was widely seen as backing Macron's far-right rival Marine Le Pen — with Putin hosting her during a surprise visit to Moscow — the encounter in Versailles will have an added personal edge. Moscow has also been blamed for a raft of cyberattacks on Macron's election campaign, with aides accusing the Kremlin of mounting a "smear campaign" against him. 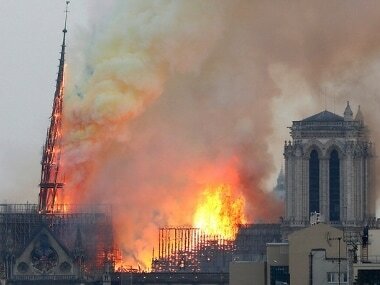 The visit comes seven months after Putin cancelled a trip to Paris for the opening of a Russian cathedral complex near the Eiffel Tower in a spat over Syria with Hollande, who had said Russia's bombing of Aleppo could amount to war crimes. In Versailles, Macron and Putin will inaugurate an exhibition marking 300 years of Franco-Russian ties since the visit of Russia's modernising tsar Peter the Great to France in 1717.